Artist/Author : Kirton, Laurence G.
An easy-to-use identification guide to the 280 butterfly species most commonly seen in Peninsular Malaysia, Singapore and Thailand. High quality photographs from top nature photographers are accompanied by detailed species descriptions which include nomenclature, size, distribution, habits and habitat. The user-friendly introduction covers geography and climate, vegetation, opportunities for naturalists and the main sites for viewing the listed species. John Beaufoy Publishing, June 2018. Octavo, paperback, colour photographs, map. Monographs on Australian Lepidoptera, volume nine. The Zygaenidae are a family of day-flying moths with an unusual biology, they are capable of releasing prussic acid. All Australian species belong to the subfamily Procridinae (commonly known as foresters) and many of these feature iridescent green colours or a wasp-like look. This is the first study of the Australian fauna of these attractive and biologically interesting moths. In this volume their beauty is captured larger-than-life in 112 finely detailed portraits by acclaimed artist Frantiek Gregor, setting a new benchmark for moth illustrations. Comprehensive general chapters discuss zygaenid morphology, biology, phylogeny and classification, with considerable new information of world-wide relevance. 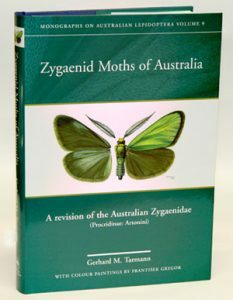 The book then provides in-depth treatments of the 11 genera and 43 species present in Australia, including 4 genera and 22 species new to science. It features keys to genera and species, photos of genitalia of both sexes and other diagnostic structures, and distribution maps for all species. Additionally, there are 8 pages of colour photographs and over 400 photos of microscopic structures, including more than a hundred spectacular scanning electron micrographs. A handy guide to the identification of the True Butterflies (Papilionoidea) of the world at least to genus level. This work contains an introductory section that contains information about the biology of the butterfly, life history, migration, distribution, insect diseases, classification, aberrations and more. 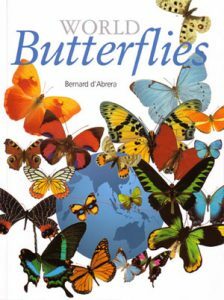 This gorgeous book is a handy guide to the identification of the True Butterflies (Papilionoidea) of the world at least to genus level. It is a condensed version of the Concise atlas of butterflies of the world (published in 2001). All known butterfly families are represented. 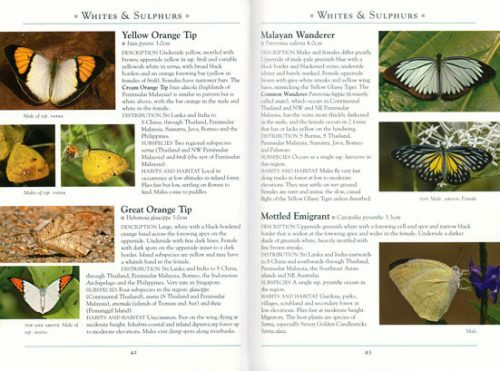 An introductory section contains information about the biology of the butterfly, life history, migration, distribution, insect diseases, classification, aberrations and more. The main part of the book consists of 144 plates with more than 6400 accurate colour illustrations at approximately 60 per cent of natural size. At least one species for most of the known genera is shown. The most up-to date taxonomy was used in the brief, authoritative text that accompanies each plate, showing the number of known species in the genus and the distributions of the species. The book is arranged according to 5 faunal regions, and follows as closely as possible the taxonomic sequences within those faunal regions. 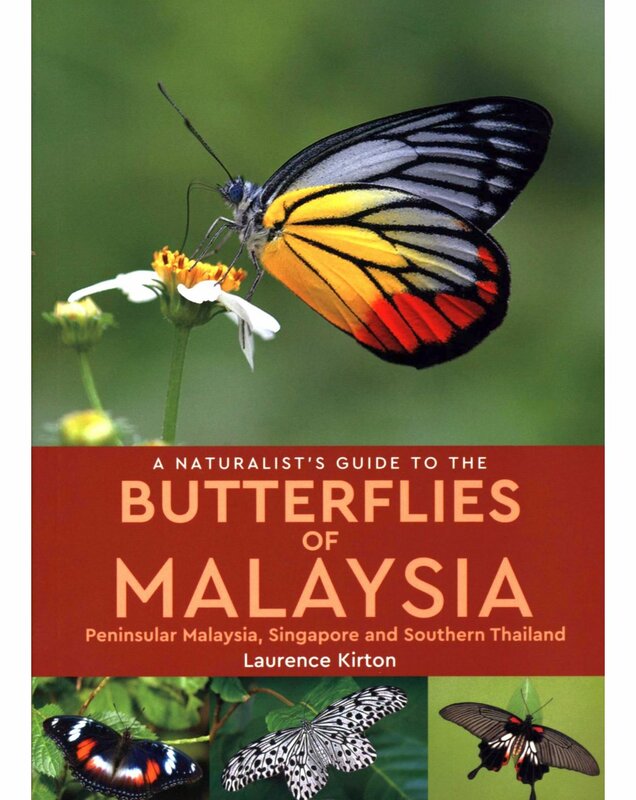 Beautifully produced, this book is an indispensable quick reference for any serious butterfly enthusiast. Artist/Author: Layberry, Ross A. et al. This title is not held in stock but we are happy to supply on special order. Please contact us. 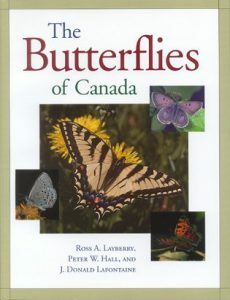 A comprehensive guide for Canada containing descriptions of close to three hundred butterfly species, including their early stages, subspecies, key identification feature, and individual distribution maps. 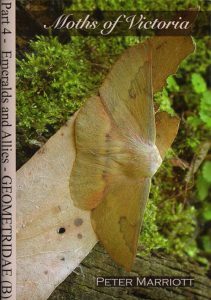 Moths of Victoria: Part Four, Emeralds and Allies, Geometridae (B). Part four in a series of ten to twelve which will cover the 2,000 species of Victorian moths. This part covers the Emeralds and allies. Part one (see stock ID 12326), part two (12327), part three (13042), part five (14144) part six (16385), part seven (16381), part eight (16379).